After calling his 60-year-old driver as his witness, the suspended Chief Justice of Nigeria (CJN), Justice Walter Onnoghen, on Wednesday closed his defence before the Code of Conduct Tribunal (CCT), in the six count criminal charge of non declaration of assets brought against him by the Federal government. The development came as a surprised as Onnoghen had on Monday announced that he was calling three witnesses including a Director with the Code of Conduct Bureau, Mrs Theresa Nwafor. The Tribunal had sequel to that issued a supeona on her to appear in today’s proceedings. 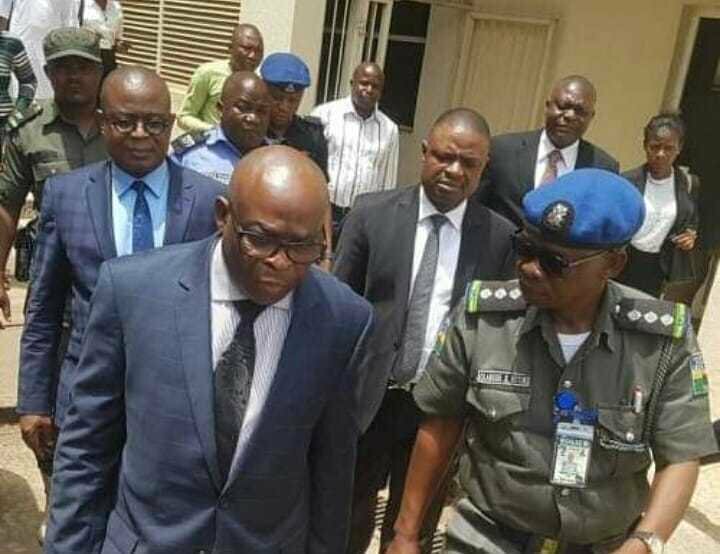 But when the case was called yesterday, Chief Chris Uche, SAN, leading other defence lawyers told the tribunal that his client, Justice Onnoghen, has closed his case. “My lords, today is for continuation of trial. But my lords, after a deep review of the evidence led by the prosecution and the defence, the defence has come to conclusion and we have closed our case,” he said. Uche asked for a period of 14 days within which to file final written address. Responding, the prosecuting counsel, Aliyu Umar, SAN, urged the tribunal to use its discretion to allot time for the filing of final addresses by the parties. During Monday’s proceedings, Onnoghen opened his defence by calling his 60- year-old driver, Lawal Busari, as his First Defence Witness (DW1). The witness told the Onnoghen obtained his assets declaration form on July 28, 2010 and submitted it to Code of Conduct Bureau on November 4, 2010.